This new Vancouver attraction opened in June 2013. It is, in our opinion, one of Vancouver’s top attractions, and definitely worth a visit. It’s called a 4D experience because it engages four of your five senses: seeing, hearing, feeling and smelling, and I can guarantee it’s a completely immersive experience. You are fooled into believing that you are flying over Canada in a paraglider with your feet dangling just above the tops of the trees, glaciers and rivers. And when you swoop over the waves, your seat tips and leans, you feel the spray and wind on your face and smell the crops being harvested in the fields below. FlyOver Canada starts with a preshow, a collage of quintessentially Canadian images. After the preshow, you’re ushered into a theatre and directed to a seat that reminds you of an amusement park ride. You fasten your seat belt, stow any carry ons, then your seat is elevated or the floor drops down – it’s hard to tell which. Then a 20 metre spherical screen appears in front of you, and you begin your 6000 kilometre journey across Canada in what feels, for all the world, like a paraglider. You “fly” over spectacular locations including Gros Morne National Park in Newfoundland, Riviere Rouge in Quebec, Niagara Falls, Toronto, Calgary, the Canadian Rockies, the Prairies, and several locations in British Columbia including Great Bear Rainforest, Haida Gwaii, Bella Coola and Lake of the Hanging Glaciers; it’s so enjoyable that you want it to go on and on. FlyOver Canada is in the same complex as the cruise ship terminal at Canada Place, so it’s a perfect pre or post cruise adventure. The per person price is $20.95 for adults, $18.85 for youth, students and seniors and $15.70 for children. 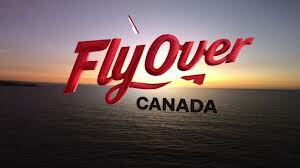 FlyOver Canada is open 7 days a week from 10 AM till 9 PM. 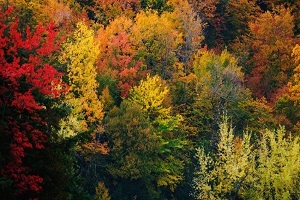 For more information, please visit www.flyovercanada.com.